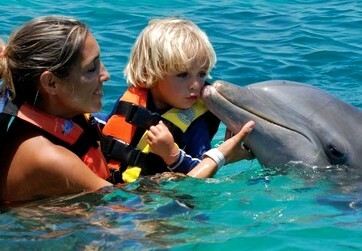 The perfect family combination for your shore excursion in Cozumel. 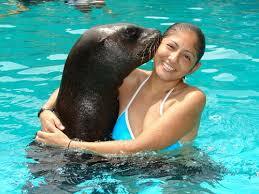 Discover what Mexico is all about on your Discover Mexico Park, Chankanaab Park Day Pass and Sea Lion Show, all in a day! 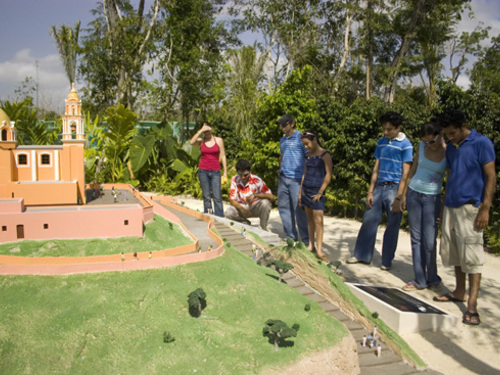 Meet your guide at Discover Mexico Park for an unforgettable immersion in the country’s vibrant culture and traditions. An immersive four-screen video collage takes you from the Riviera Maya to Oaxaca to Chihuahua and brings one of the world’s oldest and richest cultures vividly to life. Stroll through tropical gardens ripe with coconuts, papayas, and bananas—keeping an eye out for macaws, turtles and iguanas. Admire rare black-clay pottery, quirky alebrijes (carved wooden animals), brilliant textiles and other handcrafts fashioned by native artisans in Discover Mexico’s Museum of Popular Arts. Then head to the souvenir shop to take home your own made-in-Mexico arts and crafts, much of it available nowhere else in the Caribbean. Enjoy a delicious Mexican taco buffet and a margarita, included at Discover Mexico Park. Leave Mexico’s fascinating past behind when you head over to Cozumel’s popular Chankanaab National Park for the second half of this unique Cozumel shore excursion. 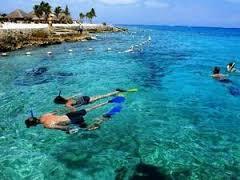 While at Chankanaab, don snorkel gear and mingle with hundreds of colorful fish in the crystalline Caribbean waters surrounding Cozumel’s unspoiled coral reef; your guide can lead you to the best viewing spots. You can even burrow through a tunnel beneath the park’s self-contained reef lagoon to reach the ocean! On land, watch the playful antics of the park’s dolphins, or take a guided tour of the park’s botanical gardens, home to huge, fiery heliconias and other tropical plants. Kids can blow off steam at the playground or play in the gentle, shallow waters of their own small beach inlet. At any point during your time in the park, you can refuel in one of its two restaurants or simply enjoy a book in the shade of a palm tree. 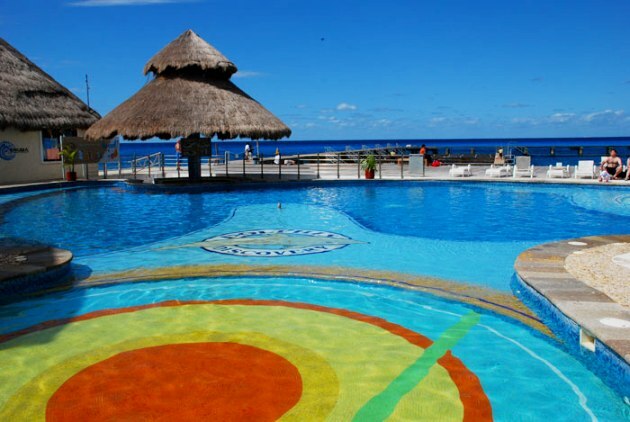 Book Chankanaab Day Pass & Discover Mexico today for an exhilarating immersion in Mexico’s culture and hours of play along Cozumel’s incomparable coral reef. Enjoy complimentary sea lion shows, kayaks, beach palapas, showers, changing rooms and when you’re ready to relax- a sun chair or hammock. 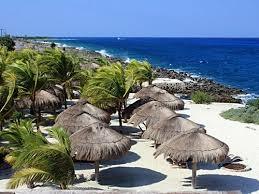 This Cozumel excursion is the perfect combination of culture, beach and family fun! •	Kids 3 and under are free! 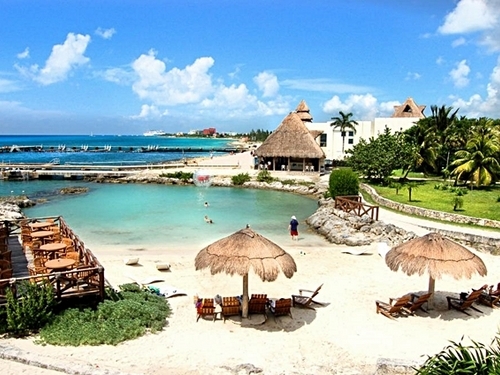 We thoroughly enjoyed Chankanaab Day Pass & Discover Mexico tour. We learnt many interesting facts. We will recommend to family and everyone! This tour was very informative. 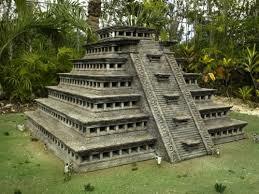 Our guide shared many historical information about Mexico. Very professional & hospitable. 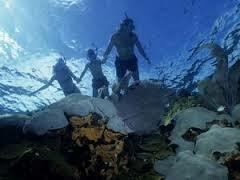 We did the snorkeling and absolutely loved it! My family and i had a great time! Thank you jaital!